I’m hosting my very first mini session event next month on Easter weekend. April 20th and 21st I will be offering mini sessions for individuals, couples and families! The session fee is only $25 and the image packages are very affordable. The best part is, your session fee is being donated to United Way Of Atlanta! This is a great opportunity for headshots, family photos, maternity photos, graduation photos, etc. You can learn more about it and book your mini session now by clicking here! It’s always an adventure photographing this young lady! She is an educator, CEO of IndigoLife Magazine and Director of Operation BICOH (a non-profit geared towards educating and mentoring young children). We jumped in the studio to update her headshots and create some personal branding images for her work, website and social media. According to wikipedia, “Personal branding is essentially the ongoing process of establishing a prescribed image or impression in the mind of others about an individual, group, or organization.” Entrepreneurs and professionals use personal branding to stand out from their competition, deliver a consistent message and increase their visibility. Your brand tells people what they can expect, what your values are and how you can help them. Whether you know it or not, you have a personal brand! Are you managing the message? Check out some of my work below and fill out the short form below when you’re ready for a free in-depth personal branding consultation. I had such an amazing time photographing the Snoddy family! They braved the cold and we captured some beautiful portraits of mom, dad and the boys. 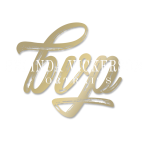 Belinda Vickerson is a fashion and portrait photographer based in Albany, Ga. She specializes in creating amazing portraiture for women, helping them discover and embrace their own unique beauty. She provides personal branding sessions, glamour, maternity, family and high school senior photography. If you would like to see more of her work, visit www.belindavickerson.com/ or visit her Facebook page www.facebook.com/belindavickerson. You can contact her at info@belindavickerson.com. Photoshoot Collaboration with Designer Chuck B. Moore and Avoir Salon And Color Bar for South Georgia Fashion Week. A hair editorial for Avoir Salon and Color Bar in Albany Georgia. The headwrap session with model Staci Williams. A portrait and headshot session with Northisa.